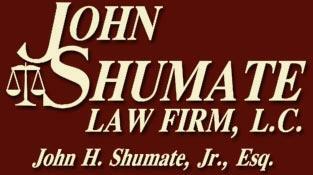 Workers’ Compensation Lawyer - Beckley, WV - Mount Hope, WV | John Shumate, Esq. 35+ Years of Excellence Means an Attorney You Can Rely on! Workers’ compensation laws are complicated and can be difficult to comprehend. The best way to know and understand your rights when it comes to workers’ compensation is by relying on southern West Virginia’s trusted and experienced attorney, John H. Shumate, Esq. With law offices in both Beckley, WV, and Mount Hope, WV, our firm can effectively represent and counsel clients from a wide range of areas while still providing personal attention. With more than 35 years of experience, attorney John H. Shumate knows everything there is to know about workers’ compensation and the laws that maintain it. In West Virginia, business owners who employ at least three people are required to offer workers’ compensation benefits, which are paid to employees who are injured while at work. While you are entitled to receive workers’ compensation after being hurt on the job regardless of who was at fault, some employers fail to provide it. If it occurs, call John Shumate’s legal office in southern West Virginia to help you get the compensation you deserve! In addition to unforeseen workplace injuries, workers’ compensation is also available for those who have developed serious occupational diseases. Coal miners who are diagnosed with black lung, construction workers who have contracted asbestosis, and many other types of situations fall under this category. Because these diseases were directly caused by work conditions, sufferers are fully entitled to workers’ compensation benefits. If you believe that you are eligible for these benefits but have been denied or have not yet received them, call our legal office today for a free consultation!